For those who choose to consume alcoholic beverages, beer reigns supreme. Beer is a multibillion dollar industry with thousands of different brands. The rise of craft beer and imports in recent years has caused fluctuations among trends, sales, imports, and exports. With many different competitors and large advertising budgets, beer brands have an opportunity to use social listening analysis to better inform their advertising campaigns as well as competitive intelligence. 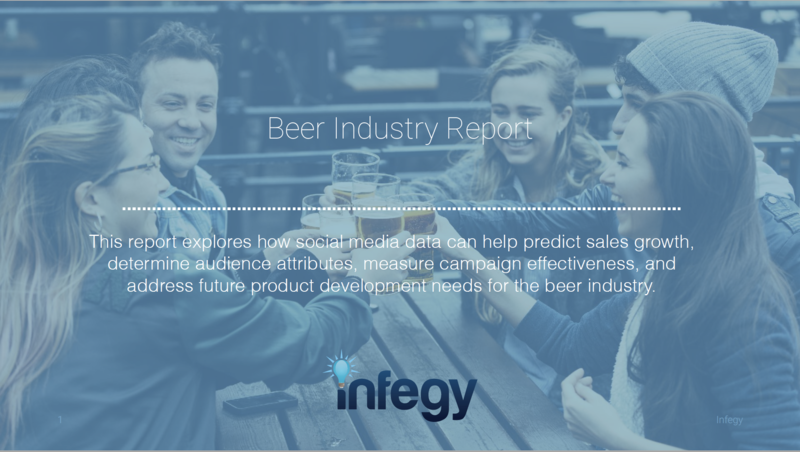 Identify other social metrics such as Sentiment, Passion, and Purchase Intent to uncover differences among top domestic and fastest growing beer brands. Learn how brands can use social listening analysis to help define their core target demographics and audience interests. Analyze consumer interest in craft styles for areas of growth for macro breweries and measure campaign messaging effectiveness through linguistic analysis.